Learn more about how Tetris champion John Tran approaches tournaments, and how he created the Hard Drop community. Within the Tetris community, there are a few pro players who stand out for their exceptional skills. One such player is John Tran. 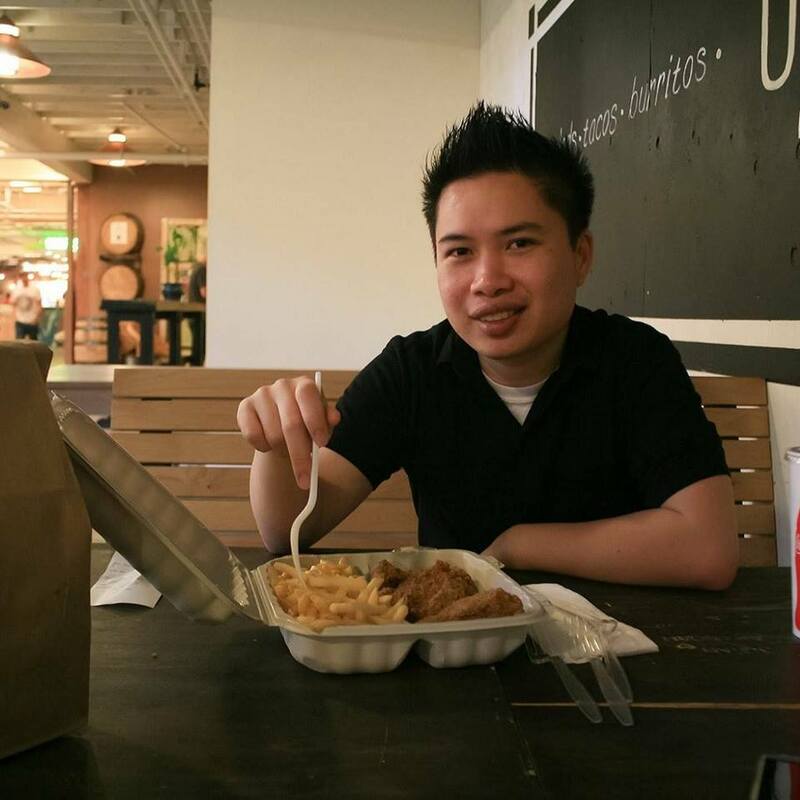 John is well-known for his various tournament victories, his multiplayer skills, and for fronting the Hard Drop community. Deep down, many Tetris players dream of dominating the competition in various tournaments. Yet how did John Tran get there? What kind of strategies set him apart from the rest, and where did his passionate love of Tetris come from? We decided to ask John these questions, and more, to find out what the life of a Tetris champion is really like! Q: What inspired you to enter your very first Tetris tournament, and how did it go? What did you take away from the experience? A: If you want to be considered the best, you must be able to prove it in competition. In my first tournament, I was just looking to see how I compared to the top players at the time and to pick up some experience in high pressure situations. I remember being full of nerves and having jittery hands, but I managed to get very far before losing to a strong female player named micheLe. She exposed some weaknesses in my downstacking efficiency and made me realize that my anxiety was a real issue that needed to be tackled. Q: How does it feel to be known as a Tetris pro? How often do you play Tetris now? A: I’m flattered to be considered a Tetris pro because it’s been awhile since I’ve been at the very top. I wear the recognition with pride and feel a responsibility to continue growing the community. I haven’t been playing as much over the past few years due to school and work, but am starting to pick up again. There have been so many games that have come and gone in my life, but Tetris is the only one that remains fun and exciting after so many years. Q: On average, how often do you practice while getting ready for a tournament? A: I try to get a few hours in a day at least one week prior to a tournament. Improvement is much slower compared to when I was a newer player, so it’s mostly just getting the fingers back into form. Q: In your opinion, what are some of the most common mistakes you see new Tetris players make? A: Especially in official guideline games, I see many new players ignoring fundamental skills such as efficient downstacking, proper stacking, hold piece intelligence, T-spin knowledge, timing, and garbage countering. In the current meta, which heavily favors combo-based attacks, many players are electing to focus primarily on combo starts to get wins. It works out pretty well since combos are currently overpowered, but I feel that if the game balance ever changes in the future or if they transition to a game that does not reward combos a lot of these players will not have much to fall back on. New players also often neglect the use of both clockwise and counterclockwise rotations or use button configurations that rely too much on a single hand. This impacts a player’s speed negatively and can increase risk of possible hand injury. Q: Who would you consider to be your toughest opponent and why? 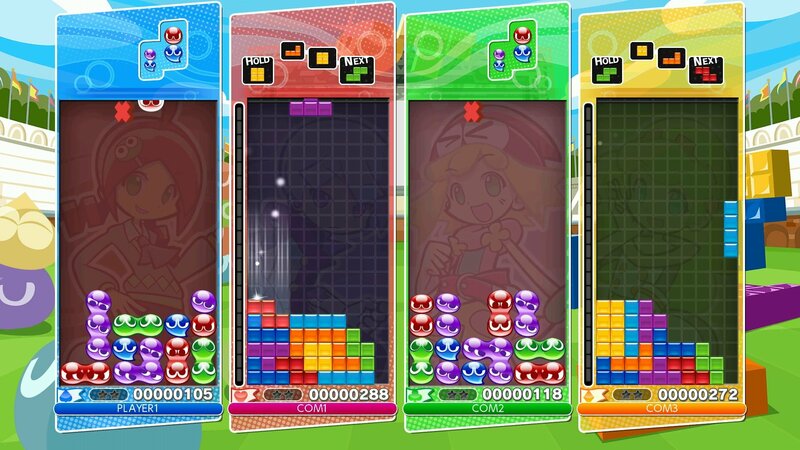 A: I’ve had many rivals over the years, especially between the different variants of Tetris. Now that I’m getting older, I’d say my toughest opponent is time. Q: Do you own any Tetris memorabilia? If so, what is your most prized Tetris possession? A: I own plenty of Tetris swag, many were given to me as gifts. My favorite one is a Tetris Ultimate poster signed by both Alexey Pajitnov and Henk Rogers. I framed it, the logo art looks great and it’s an interesting conversation piece when people see it because I received it during a live demonstration of Tetris Ultimate at E3. Q: How do you keep yourself focused under pressure while competing in Tetris tournaments? A: I don’t think there’s any secret; it just comes with experience. Q: Have you ever felt nervous before a Tetris tournament? If so, how did you deal with that nervousness? A: Of course, I think even the most seasoned tournament players still get nervous depending on who their opponent is. If I notice my nervousness getting out of hand I take deep breaths and picture the opponent just as nervous as I am. That calms me down. Q: Are there any tips, tricks, or suggestions you can give aspiring competitive Tetris champs? A: Take breaks, keep the game fun and lighthearted, and don’t focus too much on improvement. If you’re enjoying yourself while playing, you’ll improve. If it starts feeling like a chore, you’ll end up quitting and then any improvement will no longer matter anyways. Q: How does your family feel about your Tetris victories? Who would you say is your biggest fan and supporter? A: My family and friends care more about my enjoyment playing the game rather than any victories. As long as I am having fun, they are supportive of my hobby. I have no clue who my biggest fan is, but thank you for believing in me! Q: Do you plan to continue competing in the future? If so, what are some of your goals? A: I’d like to but it all depends on my work and school schedules. My current goal is to improve in Puyo Puyo Tetris. Q: What are some things you’ve learned by participating in Tetris tournaments? A: I’ve learned to adapt quickly on the fly, keep my composure under high pressure situations, and to not be afraid of failing. Q: Have you made any friends or connections during a Tetris tournament? A: Yes! I’ve made many friends with other Tetris fans that I’ve met while attended tournaments. I’ve also been lucky enough to connect with important people from The Tetris Company, including Henk Rogers and the creator of Tetris himself. Q: Finally, what’s one of your proudest Tetris accomplishments and why? A: My proudest accomplishment has been the Hard Drop Tetris Community. Hard Drop is a Tetris fan community for all fans of Tetris, regardless of your skill level or which version of Tetris you play. We’re all united by our love of Tetris. You can reach our website at http://harddrop.com or chat with us on Discord at https://discord.gg/harddrop. 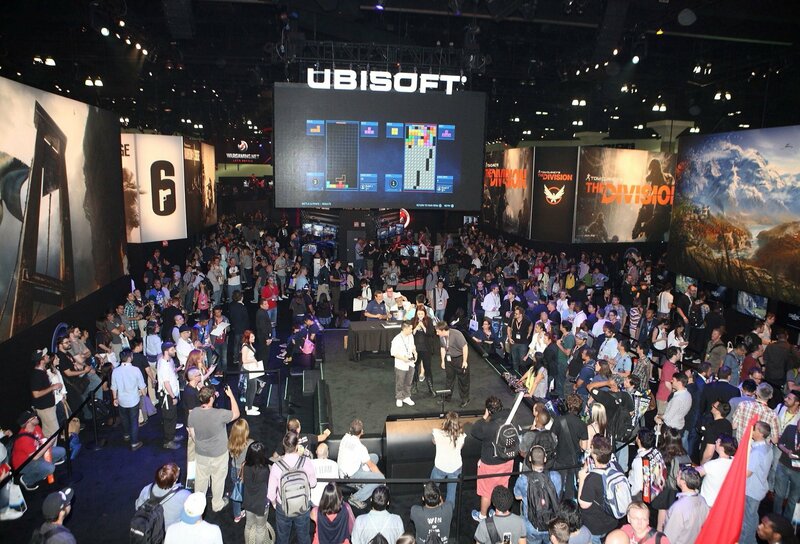 We also stream on Twitch. We want to thank John Tran for taking the time to speak with us. Be sure to check out John’s Hard Drop website, and introduce yourself to the Hard Drop community over on Discord! While we may be nowhere near John’s impressive skill level, we find his determination and success to be perfect motivation fuel. When it comes to improving, practice really does make perfect with Tetris. If you were inspired by John Tran’s story and want to get your daily Tetris practice session in, click here to play Tetris right here on our website!